Outstanding in your field or out standing in your field? The opportunities are endless and the future is promising. Agriculture is a large and growing industry that continues to evolve. An issue as a country we face is recruiting the youth of America to pursue ag-related careers. It’s time to open the minds of young students to the path agriculture has to offer. There are over 22 million ag-related careers that are no longer limited to farming. Agriculture acts as the umbrella to a wide variety of categories, branches and fields. Job descriptions include: Agribusiness Management, Agriculture and Natural Resources Communications, Building Construction Management, Agri-Science, Packaging, Horticulture, Floriculture, Food Science, and Fisheries/Wildlife. The advancing technologies and practices involved in agriculture create a demand for innovative minds and hardworking individuals. Agriculture is no longer limited to cows, sows and plows; and long gone are the overall-wearing, pitchfork carrying stereotypes of agriculturists. It has evolved into business, communications, engineering and scientific research. 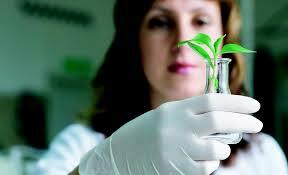 There are roughly 58,000 jobs for food and agricultural science graduates alone. Let’s talk job security. People need to eat. Every year more people populate this earth. Someone needs to make sure they receive quality food; which translates to a lot of jobs. It is predicted that about 9 billion people will populate the Earth by 2050—a 38% increase from today’s population. The demand for food will also increase, which means the industry must grow as well. Jobs will need to be filled to not only accommodate for the growing production, but also to discover progressive practice and create innovative technology. We need agriculture engineers, researchers, communicators, educators and businessman, but we simply need farmers too. Sixty percent of farmers are 55 years or older and the number of beginning farms has decreased. We need more young farmers to return home to the farm or start their own legacy. It is absolutely necessary for our country to recruit and support producers. A new generation of farmers is on the horizon. Crop production is an honorable path with incredibly rewarding experiences. Parents, teachers, counselors…. I urge you to encourage kids and young students to get involved in agriculture clubs, organizations and hobbies. It might be where they find their passion. They could discover that their future resides in agriculture. Young students…. Look into taking an ag-related class in high school or college. You might be surprised by all there is to learn and explore. Ask adults working in the agriculture industry about their experiences and perhaps you will discover there are opportunities you were not even aware of. Agriculture is the backbone of this country, be a part of its future.